It's official - Facebook has named HubSpot an official badged marketing partner. This is down to HubSpot's rich capabilities and their deep expertise along with their impressive track record of success in advertising technology. Although the partnership between the two isn't new, it does build on their existing collaboration by including a handful of different integrations that can be hugely beneficial to inbound marketers like yourself. Here are the exciting new features to keep an eye on. 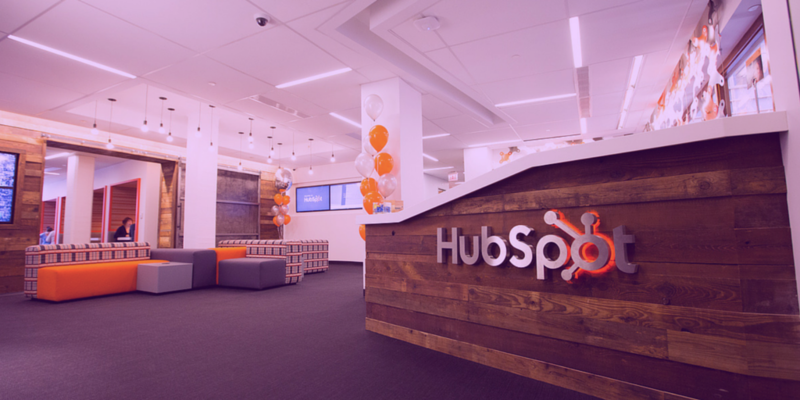 HubSpot has been named as a badged marketing partner by Facebook because HubSpot is seen as a platform which has shown that they're ready to support creative marketers with deep integrations and newer tools that are specifically designed to help grow companies. This boils down to the fact that Facebook continue to make regular changes to the platform. Therefore, fast-growing marketing teams need to make sure that they're leveraging all of the tools they have available to them so that they can make the most of their Facebook strategies. It's that simple. As you can tell, this is huge news as 48% of consumers already use Facebook to catch up on news, lifestyle stories and businesses. This makes Facebook the second most popular destination for this type of content and it's why forward-thinking marketers are already leveraging this channel to reach their audience where they spend their time the most. With these new and innovative solutions marketers can use, the native integrations are going to help HubSpot customers to help their own customers grow now and in the future. So, let's run through these integrations and what HubSpot and Facebook have recently added. Instagram and Facebook ads already integrate into the HubSpot Marketing Hub. This gives high-growth companies the useful tools they need to effectively reach, nurture and grow their audience. In fact, you're also able to use the Facebook lead ads integration to collect leads and target lookalike audiences. HubSpot collaborated with Facebook on a major co-marketing campaign. Here, HubSpot and Facebook teamed up to deliver a four-day series of live video content. The campaign covered the latest trends in social media and how marketers can use Facbook a lot more efficiently to grow your business. HubSpot has committed to bring Facebook Messenger into the HubSpot platform. Just in case you were unaware, Facebook recently tweaked their algorithm which determines how many users will see your posts in their News Feeds at any given time. With marketers worried about what this could mean moving forward, check out our blog on six ways you can continue optimising your Facebook posts, despite the algorithm change. In simple terms, all of these product offerings and integrations all bolster HubSpot's ability to you to take advantage of all of Facebook's brilliant tools. With the direct publishing tools, you're able to attract an audience with Facebook and Instagram. You can increase your traffic and capture more leads with Facebook lead ads, real ROI tracking and Audience Sync. With HubSpot also committed to bringing Facebook Messenger to the platform, you'll also be able to convert, close and delight users with conversational sales and service powered by this new integration. 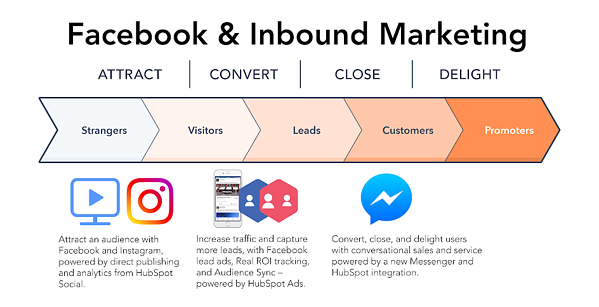 So, by pairing both HubSpot and Facebook, you're able to improve your ROI and amplify the positive effects of inbound marketing. Plus, HubSpot have already highlighted that all of the Facebook ad integrations we've mentioned above are live in HubSpot - ready for you to dive into. Something to look out for, though, is that Instagram organic publishing is now available in beta mode having been announced in September 2017, and the Facebook Messengers integration is currently in early development stages. So it may be a while off. With HubSpot being rewarded for relevant, helpful and engaging advertising, you're able to take advantage of HubSpot's deep alignment with Facebook by utilising their multiple product integrations to improve your reach and marketing efforts. We get it, you're probably very eager to go and try out the new HubSpot and Facebook integrations. However, there's still so much more you can do to improve your inbound marketing efforts and boost your sales and interactions. This can be done by making sure you're using the best marketing automation software as the bedrock of your content.